Lidl customer claims to have found a dead mouse in a packet of pilau rice. 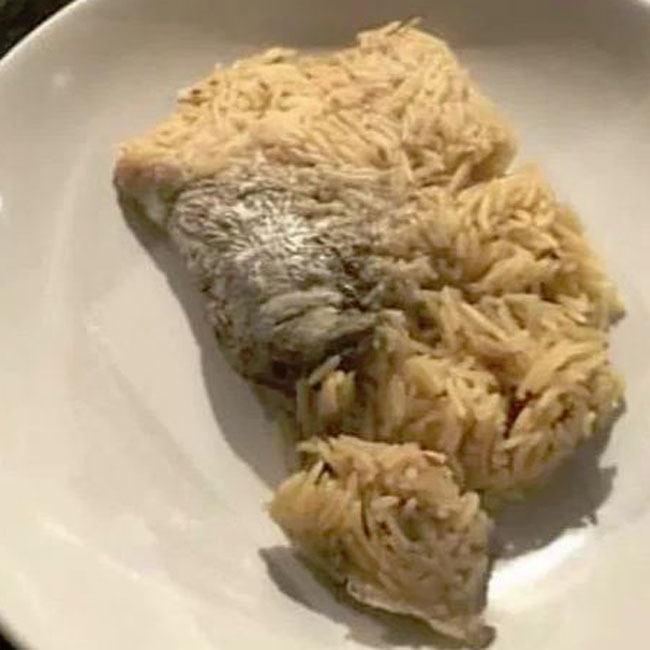 A man named Richard Leech has sent the internet into a frenzy when he posted a picture on his social media of a mouse in his pilau rice after unknowingly heating it up and making his wife "vomit uncontrollably". Richard wrote: ""Hi @LidlUK I wonder if you could let me know how this mouse got into my packet rice? "Now my house stinks of cooked mouse and my wife is uncontrollable vomiting." The tweet has since gone viral and received over 4000 comments from users who have seen the stomach-churning photo. A spokesperson for Lidl has since told Metro.co.uk: "We were very sorry to see this and have requested further information from the customer, so that this can be fully investigated by our quality assurance team." One user commented: "I'm done shopping at budget supermarkets". Another hilariously wrote: "Special fried mice".